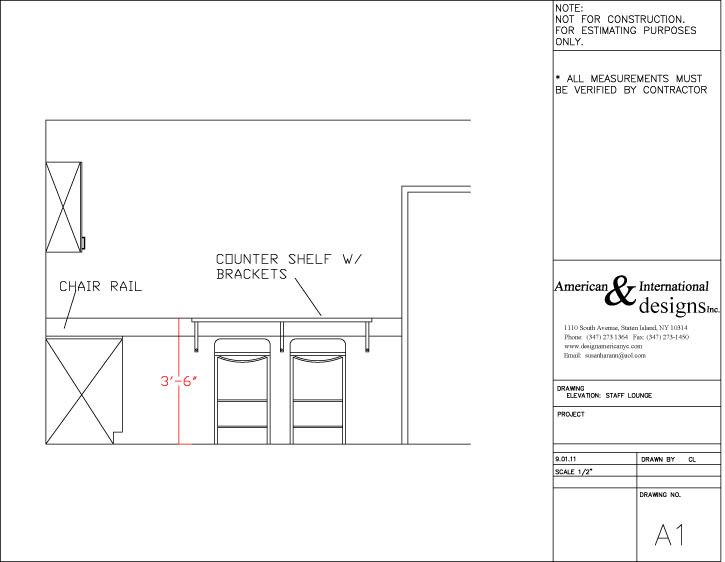 Everyday in our office, we offer design solutions for our clients whether through detailed, extensive drawings or quick simple drawings to help the client visualize space. This is a staff lounge for a office buiding, we put in a simple inexpensive shelf with brackets to create a counter for the staff. 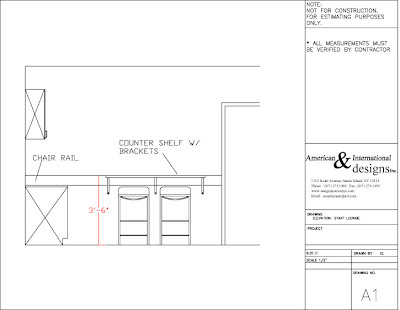 Below is an example of one of our drawings for our client.